Good Wives and Warriors is the creative partnership between Becky Bolton and Louise Chappell, who met while studying at the Glasgow School of Art. Rebecca means 'good wife' and Louise means 'warrior'. They have been working together on collaborative projects for the last years and have recently been featured in Taschen’s Illustration Now Volume 3, IdN ‘The Illustration Special’ and have produced work for Adidas, Swatch and MTV. They have also exhibited wall paintings in Europe, South America, the USA and Australia. They are currently based in London. The drawings for this show were an exploration of the aesthetic symbols of pseudo -science and religion using a playful and light-hearted approach. Good Wives and Warriors works usually develops from a shared obsession and fascination with a subject matter, and a combined pleasure in the research and interpretation of found imagery. 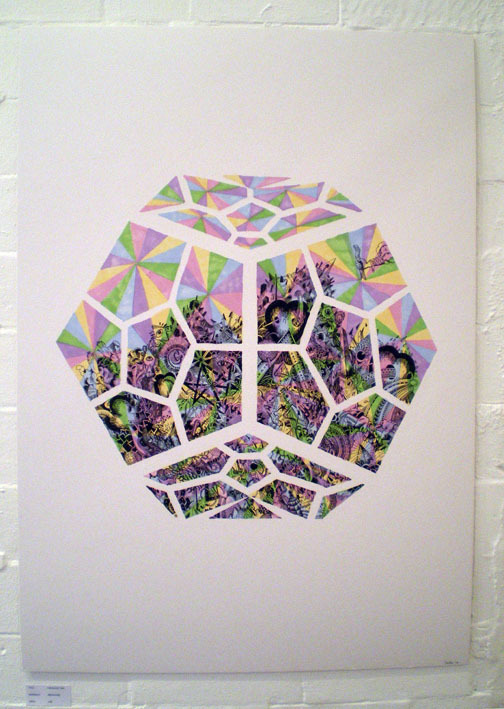 They are particularly influenced by scientific imagery, complex natural structures, pattern and the surreal. Collaboration is an important element in their process, as they splice together imagery and have developed a reactionary impulse to each other’s ideas - a sort of spontaneous collaboration.